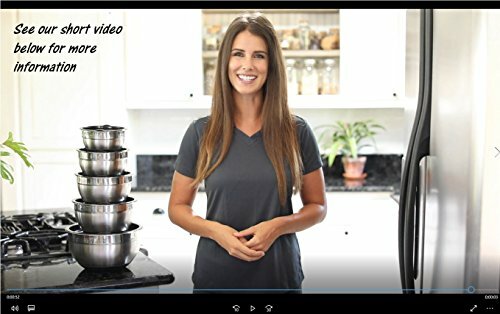 THE ULTIMATE FOOD PREP & STORAGE SET: Set of 5 premium quality stainless steel bowls designed to make life easier in the kitchen. 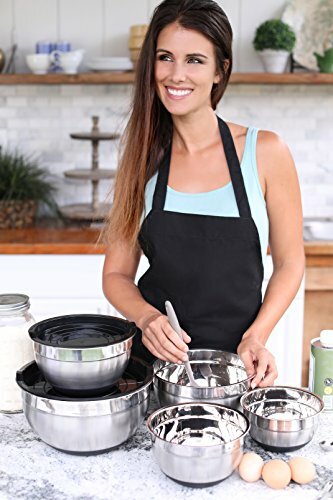 The non-slip base ensures bowls won't slide around during food prep, and the tight fitting lids are great for food storage. 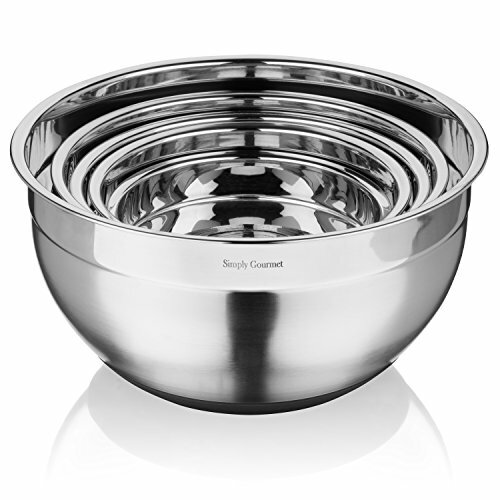 Each bowl has a brushed exterior finish and convenient measurement markings on the inside. 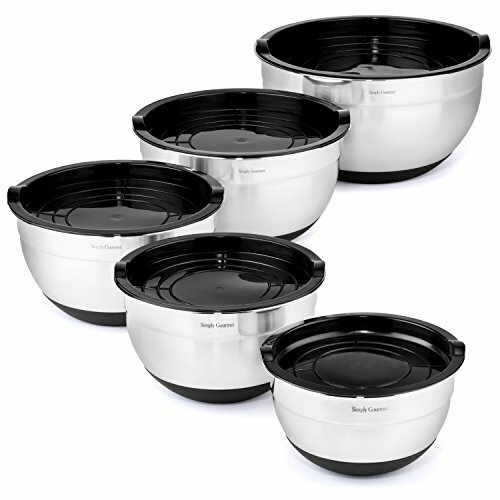 LARGER BOWL SIZES: Most sets come with a really small 0.75 quart bowl. Instead, we've replaced the 0.75 quart bowl with a versatile 2 quart size that gives you much more flexibility. 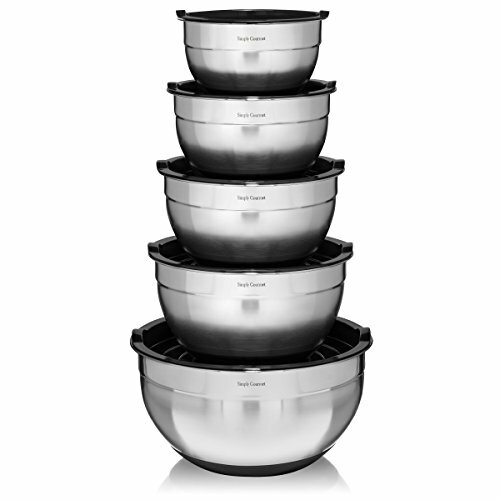 This set contains sizes 1, 1.5, 2, 3, and 5 quarts, giving you a great range of sizes for all your kitchen needs. AIR-TIGHT LIDS: We've done our homework and designed the best sealing lids on the market. Flimsy, non sealing lids are the biggest complaints on other bowl sets, so we've engineered a better performing BPA-Free lid with larger sealing ribs and overall thicker construction. 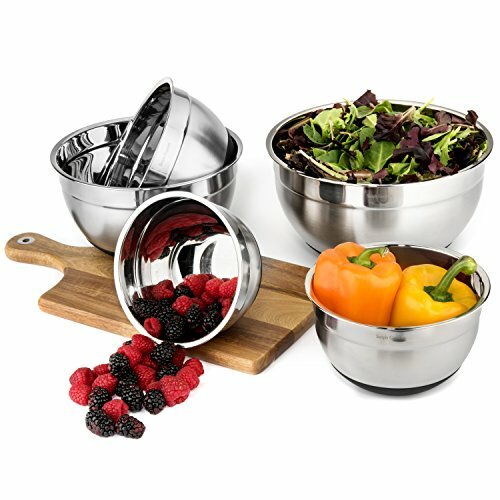 HEAVY GAUGE STAINLESS STEEL: We use only the highest grade stainless steel so you can rest assured knowing these bowls will never rust and are dent resistant. Stainless makes a great cooking material because it won't retain odors or stains, and it doesn't leach harmful chemicals. CARE & MAINTENANCE: This set is refrigerator, freezer, and dishwasher safer. However, we highly recommend hand washing the lids in order to preserve the strong seal of the lid to the bowl. Our bowls come professionally packaged that is perfect for gift giving. If you have any questions about this product by Simply Gourmet, contact us by completing and submitting the form below. If you are looking for a specif part number, please include it with your message.